For use with HUD+ only. Garmin HUD provides detailed navigation information to your Garmin HUD+ device so it can beam turn-by-turn directions and more right onto your windshield for easy viewing while driving. To use Garmin HUD on your iPhone®, iPad®, Android™ or Windows Phone® 8, you must pair your smartphone with a Garmin HUD+ device via Bluethooth®. Once paired, Garmin HUD transforms into a full-featured navigation app. Maps are stored on your smartphone, so you can navigate even when you don’t have cell coverage. Set your destination by address or select a point of interest (POI) like a gas station, restaurant, grocery store or park. The app will navigate while it sends turn-by-turn directions, speed limits, ETA, lane guidance and more to your HUD+ device. 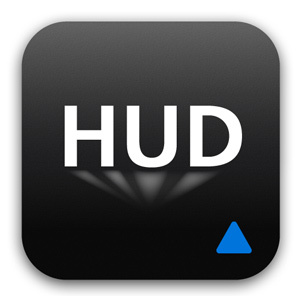 With an in-app purchase, HUD+ can even warn you of potential traffic delays. iPhone is a trademark of Apple Inc. Android is a trademark of Google Inc. Windows Phone is a trademark of the Microsoft group of companies. The Bluetooth word mark and logos are registered trademarks owned by Bluetooth SIG, Inc.